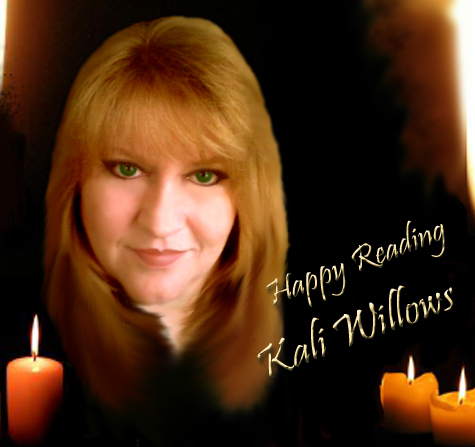 Paranormal Romance and More: Excerpt & Giveaway: Dragon Temptation by Kali Willows! Excerpt & Giveaway: Dragon Temptation by Kali Willows! “Not when you’re with me, I’ll keep you safe, I promise.” The warmth of his smile melted the last of her cold exterior. More solar lights illuminated the path to their destination. Although hesitant, she didn’t resist when he led her to the rocky archway. The exquisite aroma of the jasmine flowers clustered along the walls of the entrance lingered about them. “Oh,” a shiver of excitement ran through her. Another chance of getting caught. “Hey, it’s no problem, I got it.” Yong stood close to the torch and blew on the wick. The glow emanating from his pursed lips ignited the lamp. “Hope it doesn’t freak you out.” Yong walked to the next one and repeated his magic. “Yeah, that’s when the anger takes over. It’s like your body goes on autopilot. So, you’re okay with this then?” He leaned in to light another one. Yong took her hand and they went deeper into the tunnel. When Kali Willows isn't busy being the married mother of two, certified trainer or counselor extraordinaire, she is shadowing worlds of paranormal passion & intrigue. Her goal in life? She has many, but her writing goal is creating emotional, compelling stories and characters you can't help but love, hate and cheer for. Enter below via the Raffleocpter to win a eBook copy of Double Dragon Seduction by Kali Willows!